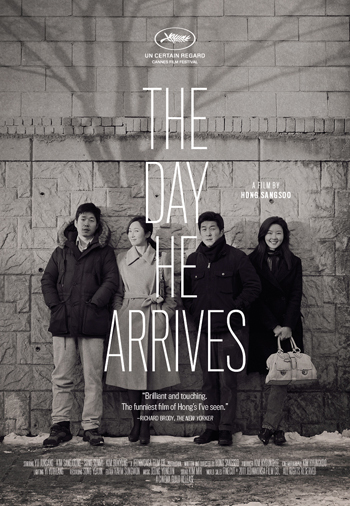 A film director who no longer makes films, Seongjun, arrives in Seoul to meet a close friend. When the friend doesn't show up, Seongjun wanders the city aimlessly. He runs into an actress he used to know, shares a drink with some film students and against his better judgment, heads to his ex-girlfriend's apartment. The next day goes very much like the last; Seongjun meets the actress, has drinks with friends, and falls for woman who looks remarkably like his ex-girlfriend. 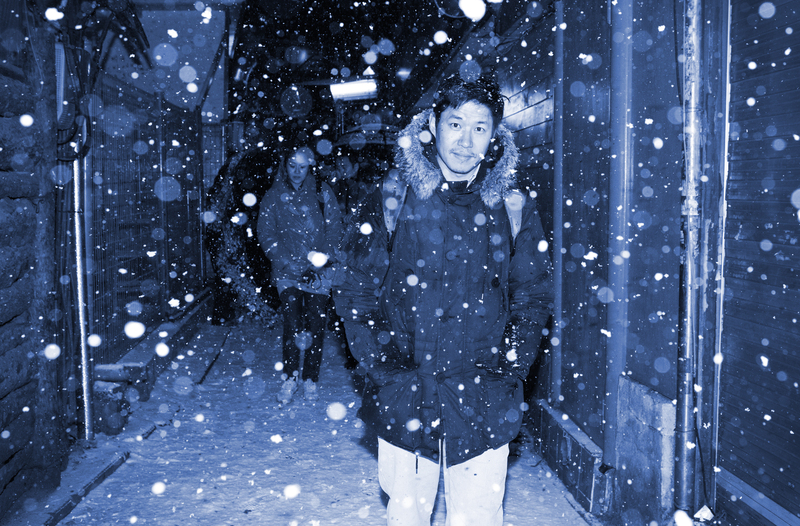 Each new day plays out like a flimsy copy of the previous one, but only Seongjun knows why. Infused with a playfulness and dry wit that recalls the films of Woody Allen and Eric Rohmer, The Day He Arrives is a delightful meditation on relationships, filmmaking, and the unknowable forces that govern our lives. - Click Here to download HI-RES Stills.